NASA's 'Mars Helicopter' has successfully completed a series of tests and is ready to take flight over the Red Planet. NASA conducted two test flights where the drone reached an altitude of just two inches. But the team says that it is all they need. This could possibly prove that the helicopter works in Mars-like conditions. In January 2019, all the pieces, making up the flight model (actual vehicle going to the planet) of NASA’s Mars Helicopter, were put to the test. 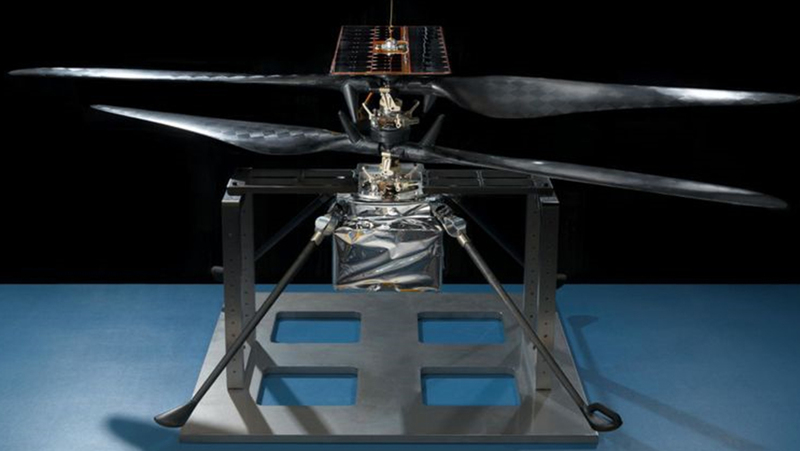 Weighing no more than 4 pounds (1.8 kilograms), the helicopter was a technology-demonstration project that had undergone a rigorous verification and certification process to be able to fly to Mars. “Gearing up for that first flight on Mars, we have logged over 75 minutes of flying time with an engineering model, which was a close approximation of our helicopter,” said MiMi Aung, project manager for the Mars Helicopter at NASA’s Jet Propulsion Laboratory in Pasadena, California. The test took place earlier this year in the Space Simulator, a 25-foot-wide (7.62 meters) vacuum chamber at JPL, California. This project may also have helped prepare many robotic planetary explorers over the decades. Aung and her colleagues configured the chamber to mimic the wispy, carbon-dioxide-dominated Martian atmosphere, which is just 1 percent as thick as that of Earth. More than 1,500 individual pieces of carbon fiber, flight-grade aluminum, silicon, copper, foil, and foam went into NASA’s Mars Helicopter, which will launch with the agency’s next Red Planet rover in July 2020. 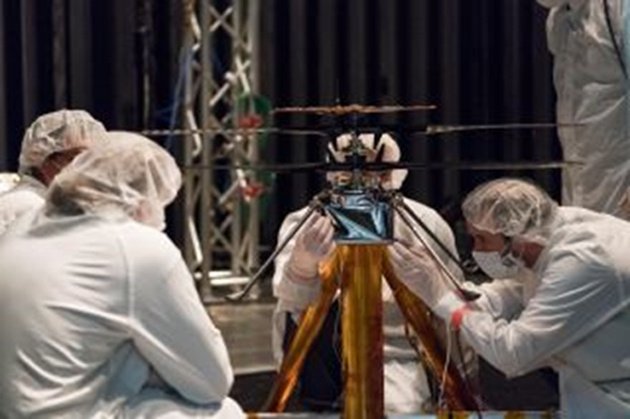 The team also outfitted the helicopter with a "gravity offload system" which is a motorized lanyard that can be pulled upward on the craft continuously, so that it could experience Mars' gravity during the flight. Now, the gravitational pull on this planet's surface is just 40 percent as strong as the tug we feel here on Earth. "The next time we fly, we fly on Mars," Aung said. "Watching our helicopter go through its paces in the chamber, I couldn't help but think about the historic vehicles that have been in there in the past. The chamber hosted missions from the Ranger moon probes to the Voyagers to Cassini, and every Mars rover ever flew. To see our helicopter in there reminded me we are on our way to making a little chunk of space history as well." The Mars Helicopter will launch as a technology demonstrator with the Mars 2020 rover on a United Launch Alliance Atlas V rocket in July 2020. This event will occur from the Space Launch Complex 41, located at the Cape Canaveral Air Force Station in Florida. The helicopter is expected to reach Mars in February 2021. Mars 2020 project at JPL in Pasadena, California, will manage the rover development for the Science Mission Directorate at the NASA Headquarters. NASA’s Launch Services Program, based at the agency’s Kennedy Space Center in Florida, will be responsible for launch management. Scientists will use the instruments aboard the rover to identify and collect samples of rock and soil, encase them in sealed tubes, and leave them on the planet’s surface for potential return to Earth on a future Mars mission.